These are the AMain Cycling colored stickers, designed for your road bike, mountain bike and wherever else you want! Don't worry about being seen, these large 6.25" x 5.5" inch large stickers are made from transparent vinyl and feature a fuel resistant coating to remain durable even in harsh conditions. Share your AMain Cycling love with friends and family, or show it off to the competition! 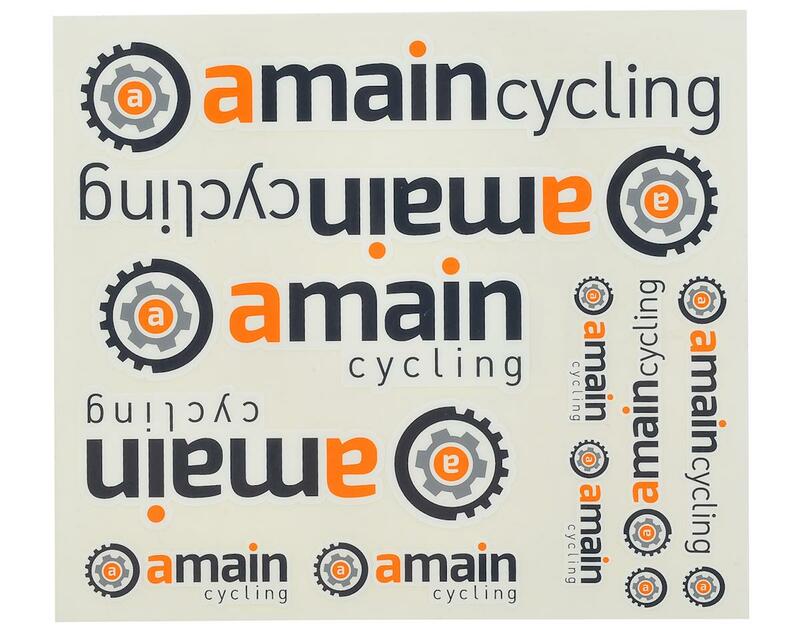 Grab an AMain Cycling sticker sheet.